Slice the electronic cheese but don't cut it! It's a race to get to the finish without a 'frrrt'! 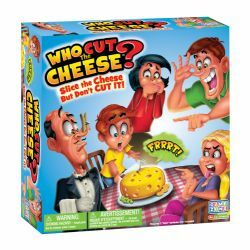 Put a pretend knife in the cheese and if you hear a happy sound move forward.